Abstract: Communication theory for lightwave channels usually employs a semiclassical approach in which electromagnetic waves are taken to be classical fields and the fundamental noise encountered in photodetection is assumed to be shot noise arising from the discreteness of the electron charge. Electromagnetic waves, however, are quantized. Thus photodetection is a quantum measurement whose statistics should be calculated accordingly. Nevertheless, it has long been known that semiclassical and quantum photodetection predict identical measurement statistics in the vast majority of illumination conditions. Recent development of nonclassical light sources — whose photodetection statistics require the use of quantum theory — plus increasing interest in optics-based approaches to quantum information processing, necessitates a thorough understanding of the similarities and distinctions between the semiclassical and quantum theories of optical communication. This talk will present a primer on that topic, concluding with communication examples drawn from current research. No prior knowledge of quantum optics will be required. Biography: Professor Jeffrey H. Shapiro is the Julius A. Stratton Professor of Electrical Engineering. Professor Shapiro’s research interests center on the application of communication theory to optical systems. He is best known for his work on the generation, detection, and application of squeezed-state light beams, but he has also published extensively in the areas of atmospheric optical communication, coherent laser radar, and quantum information science. 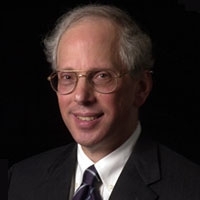 Professor Shapiro is a Fellow of the American Physical Society, the Institute of Electrical and Electronics Engineers, the Institute of Physics, and the Optical Society of America. In 2008, he was co-recipient of the Quantum Electronics Award from the IEEE Lasers and Electro-Optics Society (now the IEEE Photonics Society), and the recipient of the Quantum Communication Award for Theoretical Research from Tamagawa University.